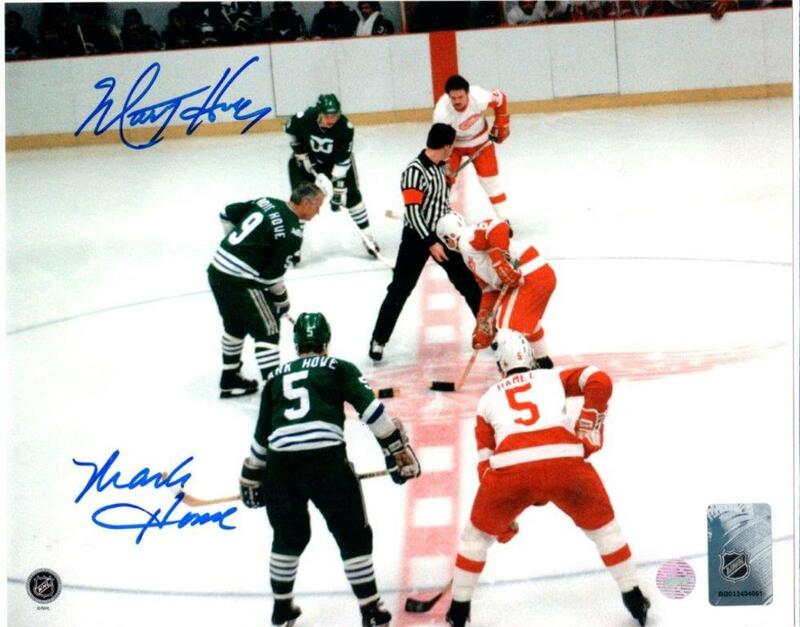 This 8x10" faceoff photo come dual-signed by Mark & Marty Howe. All three of the Howe brothers made it to the NHL making them one of the most legendary hockey families of all-time. The photo comes with a Frameworth hologram and certificate of authenticity.